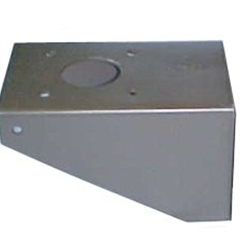 Bracket, antenna mouning, MP-50. These are high quality US manufactured with MP-50 stamping. Bracket, antenna mounting. These are used on many vehicles and work with multiply antenna bases too.